The Springfield Housing Authority Board of Commissioners has doubled the Farris Mitchell Scholarship to two separate awards of $1,000, for a total of $2,000. Commissioners and SHA Executive Director William H. Abrashkin have been strong supporters of the scholarship, named after a former public housing tenant who strongly believed in education, and who inspired many young people to stay in school. 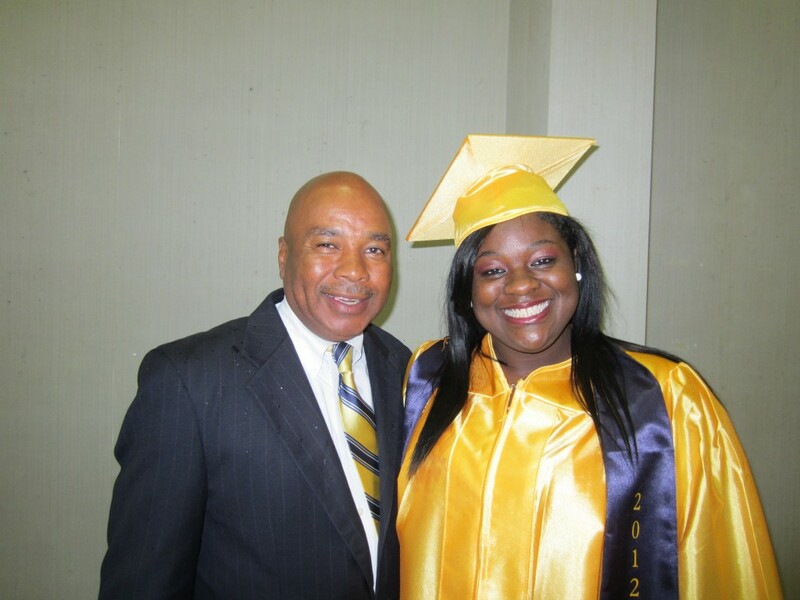 Applications are now available for the 2013 Farris Mitchell Scholarship, awarded every spring to a senior attending a Springfield high school who lives in either public housing or has a Housing Choice Voucher (Section 8) unit subsidized by the Springfield Housing Authority. The scholarship, begun by Farris Mitchell’s family, is funded by the Springfield Housing Authority. Applications are available in guidance offices at all city high schools, by writing to Jimmie Mitchell, care of the Farris Mitchell Scholarship Committee, 186 Arcadia Boulevard, Springfield 01118, or by emailing him at jmitchell@shamass.org. Springfield Housing Authority youth engagement coordinator Jimmie Mitchell shares a smile with Taylor Smith, the 2012 recipient of the Farris Mitchell Scholarship and now a freshman at Westfield State University. The deadline to apply is May 1. The scholarship, begun in 1995, was named after a man who lived for many years with his wife and 10 children at Riverview Apartments in the Brightwood section of the city. Farris Mitchell, who died in 1994, loved children, and instilled in his children and many others a desire to improve their future through education. All of his children finished high school and many went on to college. The scholarship is administered by Farris Mitchell’s son Jimmie Mitchell, a retired Springfield educator. The recipient will be chosen by a the Farris Mitchell Scholarship Committee, which includes several SHA employees and one or more Mitchell family members. Jimmie Mitchell is a retired Springfield educator who now works as youth engagement coordinator at the Springfield Housing Authority. Last year’s recipient, New Leadership High School graduate Taylor Smith, is now a freshman at Westfield State University studying child psychology.